A wildlife inspired Elk in an oval, framed in branches and backed with Summer Green art glass tops this Lone Elk Inverted Pendant Light with Amber mica panels. The rustic pendant light is finished in Antique Copper. 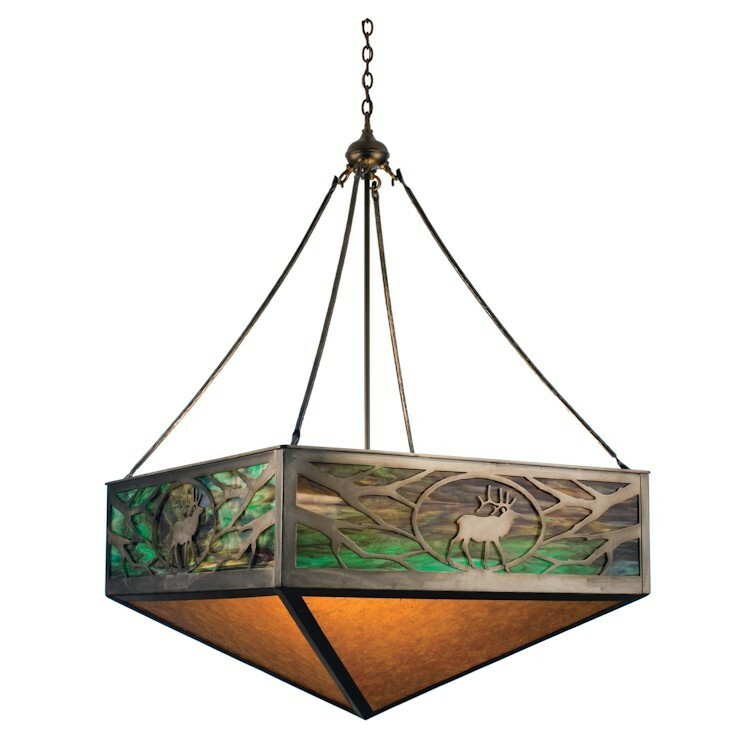 A wildlife inspired Elk in an oval, framed in branches and backed with Summer Green art glass tops this Lone Elk Inverted Pendant Light with Amber mica panels. 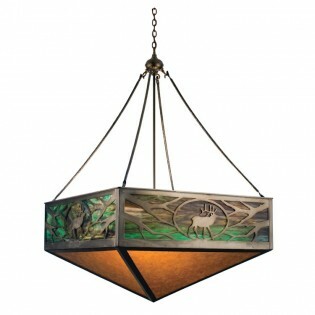 This rustic pendant light is finished in Antique Copper.